Stable cooking & concentrationg in very short time! Very efficient suger concentration with bubling air & electric heater. 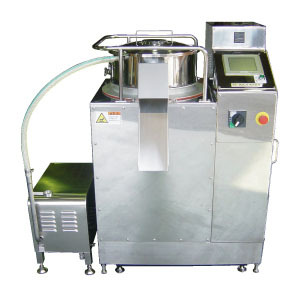 Boiling, washing and concentrating conditions can be set for each item. Ten items can be registered. Keeping the original shape of raw material. High quality product in any season. 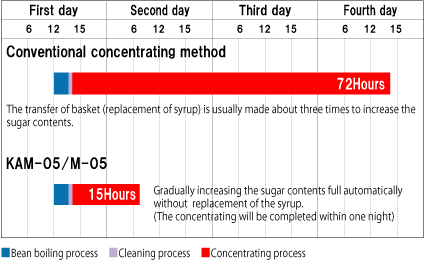 Sugar contents controlled on the weight basis. Simple structure for easy cleaning.